Sun Burst Carved Crystal Plate Mirror will accentuate any wall in your home. Made with crystal glass and solid cedar cypress wood. 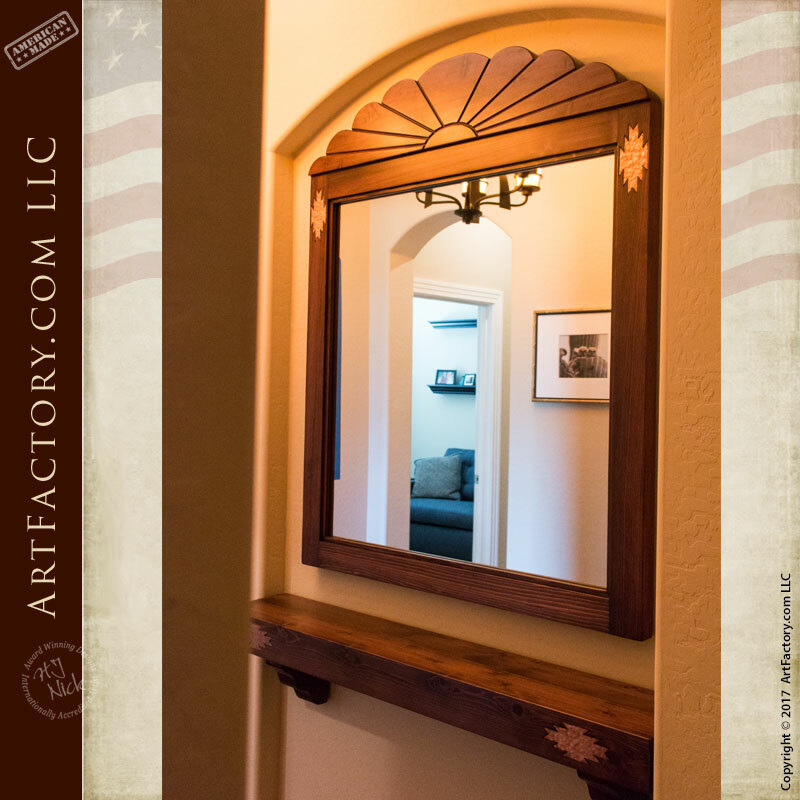 Our master craftsmen build each item using old world techniques which is why we can guarantee your custom made mirror to last forever. Solid wooden shelf allowing space available to hold photos or anything you wish. Decorated with granada patterns bring the Pueblo architecture to life. We customize every product to your measurements ensuring what you order will fit exactly how it should. When you receive your finished item you will be more than pleased and thrilled to show it off to guests. The Spanish exploration of the deserts in the southwestern United States. Beginning in the 1540’s, when conquistadors such as Francisco Vasquez de Coronado crossed the region in search of the mythical cities of gold. Instead they found “gold” of another kind, the ancient culture and and architecture of the Pueblo people.